^ a b Alan Henry, ed (1982). 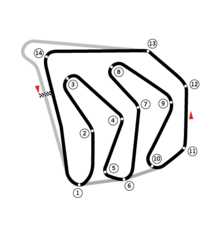 AUTOCOURSE 1982-83. Hazleton Publishing. pp. pp.214-215. ISBN 0-905138-21-X.